Unidrape – Blinds Vs. Curtains: Which is Best for You? When it comes to buying your window coverings, we find that many people struggle to choose between blinds or curtains. Both have their benefits, but other than the difference in aesthetics, are there any other real differences that you should consider before buying? Navigating the world of interior design is no mean feat, and we hope that our analysis here of the pros and cons of each will help you make the right decision when it comes to your window coverings – and save you time and money replacing the wrong choice later! 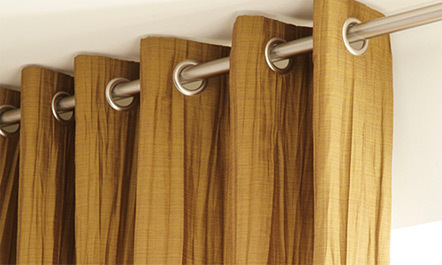 The main difference between blinds and curtains is the flexibility with your light control. Blinds of course can be open, closed, or partially opened to allow in the amount of light that you wish, making them a practical addition to your home. However, light control may not be a big factor for you, and if so, curtains are an equally good choice. Since both curtains and blinds can be made with an array of coloured fabrics, if you wish to match patterns or colour schemes, both curtains and blinds such as Roman, vertical or pleated blinds would work well. In this instance, you can often choose the exact colour or pattern you wish to match – the only difference is the functionality of opening and closing, and whichever you prefer. With a curtain, you can simply open and tie back or have them operate on a motorised opening and shutting system, while with blinds you can also have a motorised control system fitted or operate with a drawstring and a twist lever to operate the louvres. Since you will be doing this action every day, you should definitely consider which you prefer best – and everybody’s different. Also, different blinds and curtains feel different to operate, so it can be useful to visit your curtain or blinds supplier instore to get hands-on and find your favourite by trying a few. If you’re short of time, consider blinds or curtains you’ve experienced and liked in the past and how they were controlled, and opt for this. One of the biggest differences is the materials used and how this impacts the feel of your home. Generally, blinds offer a cleaner and more modern look due to the fact that they are with made from wood or lighter, more refined fabric, and can be fitted to the glass space of each pane exactly or just cover the window area. In contrast, curtains nearly always extend past the window area and are often made of much thicker, plush fabric which can give a much warmer and cosier feel to your home. This warmer feeling can also be literal in certain instances, since the thicker fabric can act as a better insulator than thinner blinds – but only if not placed over a radiator. If curtains cover a radiator based under the window it can allow a lot of your paid-for heating to escape up and out through the glass. Not very useful! However, whilst thick curtains are great insulators, there are also specially designed energy efficient blinds such as the Honeycomb design, so if you want a more modern, minimalistic feel, these might be a better choice for you. When it comes to blocking out light, most thick or lined curtains are the clear winner over the majority of blinds, since they extend past the window area in all directions and do not have gaps in-between like the blind slats. Whilst blinds can be fully closed to block out most external light, any blinds with rotating louvres are bound to let some light in, so if you’re the sort of person that needs complete darkness to get to sleep, these aren’t the option for you – or at least your bedroom! However, there are a few blinds that offer excellent light exclusion such as Roman or pleated blinds that are both fitted to the window or pane itself. 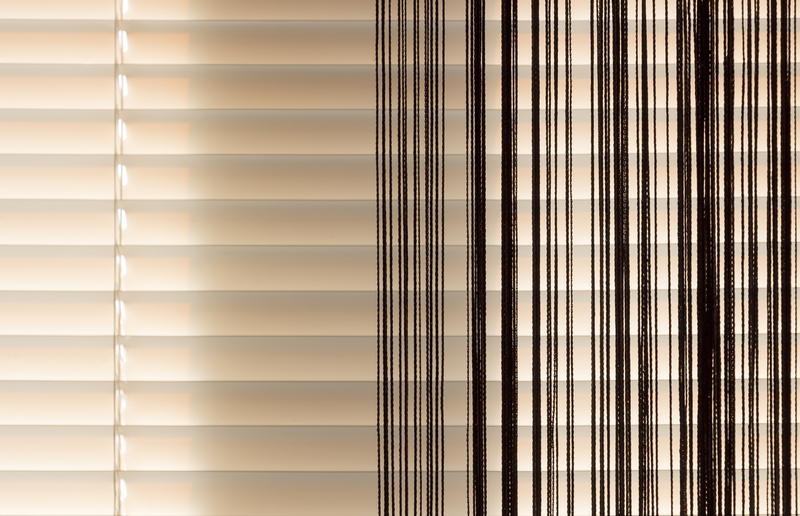 With these blinds you’ll need to get them lined with special material to get the full blackout effect. Some curtains also need to be lined to get the same effect if they are thinner, but most thick curtains will do the job on their own. Finally, maintenance for wood blinds is thought to be the quickest and simplest, since you can use a duster or vacuum cleaner to remove the majority of dirt and dust to keep them looking tip-top. As for material blinds and curtains, the ease of maintenance depends on the design. Long vertical blinds can be awkward to clean, whilst some curtain and blinds fabrics (such as roman blinds) can easily be detached and hand washed or put through the washing machine (do check your individual blinds for cleaning instructions). We hope you found this guide useful, and if we didn’t cover your query above, then do get in touch and one of our team would be happy to help!